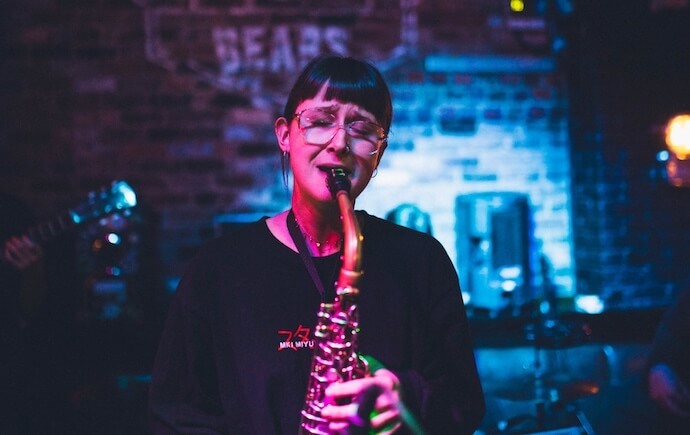 After a year of increasingly hyped events, the monthly Bungalows Jazz Night is gathering a reputation as the number one spot in Sheffield to hear the latest sounds in UK jazz. We thought it was time we dug a little deeper into how the Steel city got jazzy. The jazz rebirth going on in the UK is infectious, and it’s something you can really feel at the Bungalows Jazz Nights. With big names like Joe Armon-Jones (Ezra Collective) and Blue Lab Beats; as well as exciting upcoming acts like Tetes de Pois and Porij filling out the newly refurbed Bungalows every month, it’s clear that the night’s reputation extends way beyond the headline act’s pull. But, what is really interesting is that most of the bands ramping up the scene are actually from Sheffield and its nearby cities, Leeds and Manchester. Whilst the London jazz community is quickly gaining attention from the mainstream media; with acts like Kamaal Williams, Moses Boyd and Nubya Garcia hitting album of the year lists across the board, there’s just as much quality coming out of the North that Bungalows are bringing to Sheffield. Curator of Bungalows Jazz Nights, Jordan White, told us about how he finds the bands for their lineups: “You can’t argue with Gilles Peterson’s encyclopaedic knowledge of music, particularly his passion for the UK jazz scene. His 6Music show on a Saturday is the Rosetta Stone for anyone looking to get in the know and that’s where I started.” Gilles’ ‘We Out Here’ compilations on his label Brownswood feature all the major players of the emerging scene in London (some of whom Bungalows are excited to be working with this year, hint-hint!) and the fact this LP has just spawned its own three-day festival, clearly shows the excitement and prospect of jazz in 2019. 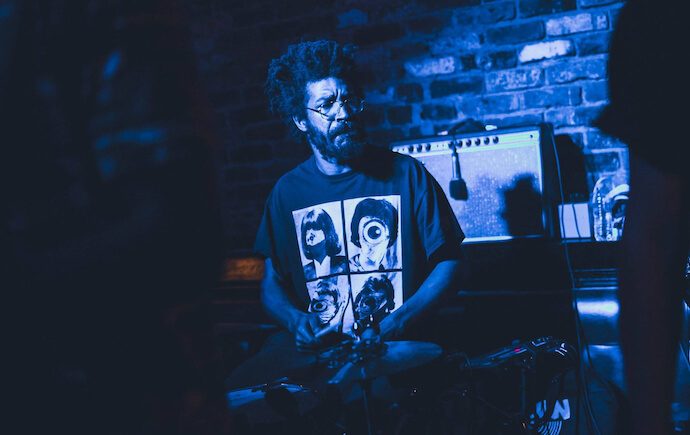 Now more than ever before, jazz is taking on influence from all over the musical spectrum, from dub and afro-beat, through to trip-hop, jungle and drum & bass, creating a melting pot of creativity around the genre that many say hasn’t been felt since the 1960s. This buzz is palpable at Bungalows; some of the key players of the London scene have brought their eclecticism and this makes it accessible for the extremely varied crowd. The variety of people at Bungalows Jazz Nights may be what creates such an energetic atmosphere, with dancing and boozing high on the priority list for the young and old crowd. But with DJs keeping the energy high in-between and after the bands with jazzy hip-hop, funk, soul, house and r’n’b from local selectors Zeeni, Leroy and crews like Fortythree, there’s a modern feel to the aesthetic that fits the new Bungalows revival that Jordan is spearheading. Massive DJ acts like Crazy P, Awesome Tapes From Africa and DJ Seinfeld are starting to become a more regular occurrence, as well as the Cafe Kissa events which sees contemporary albums played in full, either on record or live, as in the case of the recent storming D’Angelo Brown Sugar event. But in a very ‘jazz’ way, it’s the quality of the music at Bungalows Jazz Nights that seems to be bringing people back for more, and that’s not just in the impressive headliners. There’s a wealth of talent Sheffield and Leeds that Bungalows bring as both warm-up acts and the main event. Bungalows Jazz Night takes place monthly on the third or fourth Thursday of the month at Bungalows & Bears. Up next is the Manchester based Werkha, Maisha (who often play with Nubya Garcia) and the Mercury nominated Theon Cross. Check their listings on Facebook for more info.